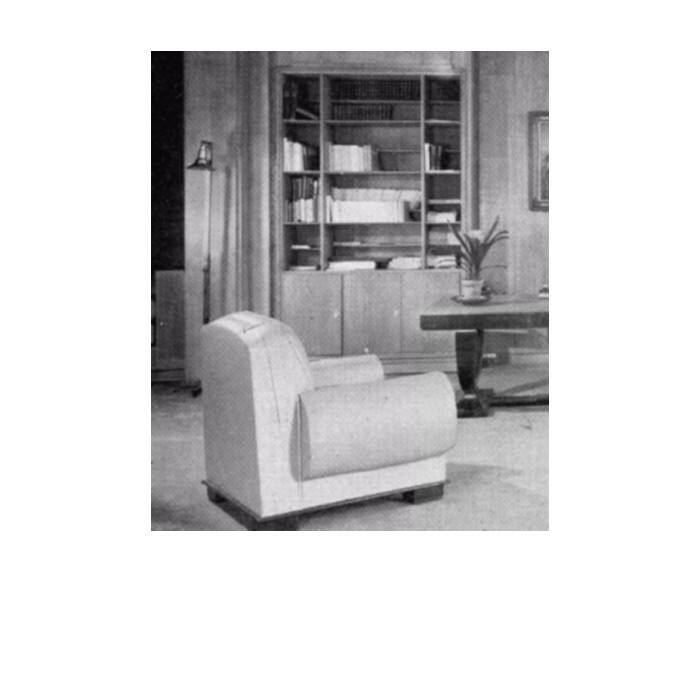 Art Deco " Elephant " upholstered armchair designed by Pierre de la Londe after a Ruhlmann design. Upholstered with carved mahogany base. 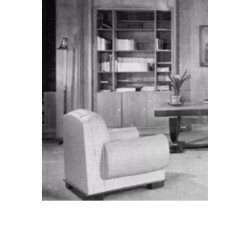 Featured on p12 of Moblier et Decoration 1948 photo below. 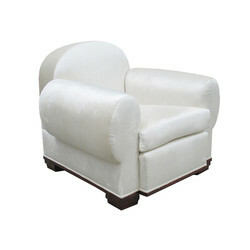 Dimensions: H:31½ D:34 W:39 Seat H:18 Inches.